How do you recolor the pieces? What spray paints and what colors did you use exactly? Nice heroes. Just the last one in the photo by taking the green hero core off his weapon. OK? Why does Breacher 2.0 have a Hero Core on his weapon? 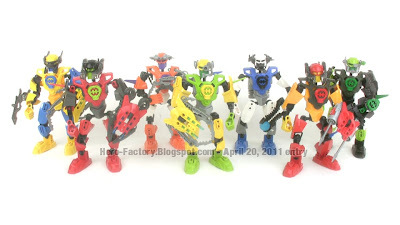 I still like your bionicles better. The video makes it seem like these characters you created were casaulties in the war on crime. Breacher is awesome in his 3.0 form. I'd love to see some more of these heroes in 3.0 versions. Limm could be a gecko, and maybe use Breez 3.0's helmet! Andwe all know what Wolf's animal would be! (Although it could be a wolf spider instead of just a wolf.) A 'Dont Forget The Others' for the 3.0 series, wether with these or other new heroes, would be just awesome. 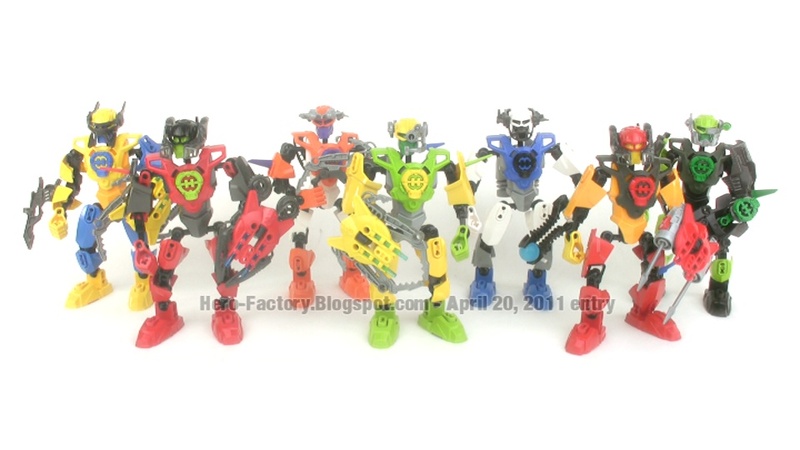 The one on the far left likes a bit like my MOC Striker, same colors and visor piece.That's a funny coincidence. where did you get the black head and core? pretty cool im gonna make a wolf and a retired hero we all know named thresher (stormers old leader).